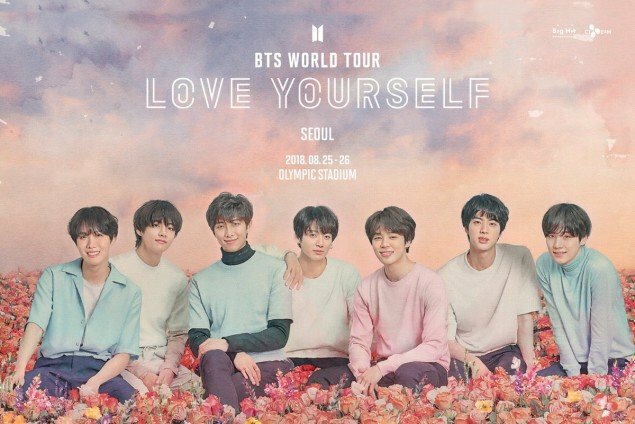 BTS have revealed a main poster for their upcoming 'BTS World Tour - Love Yourself' stop in Seoul! 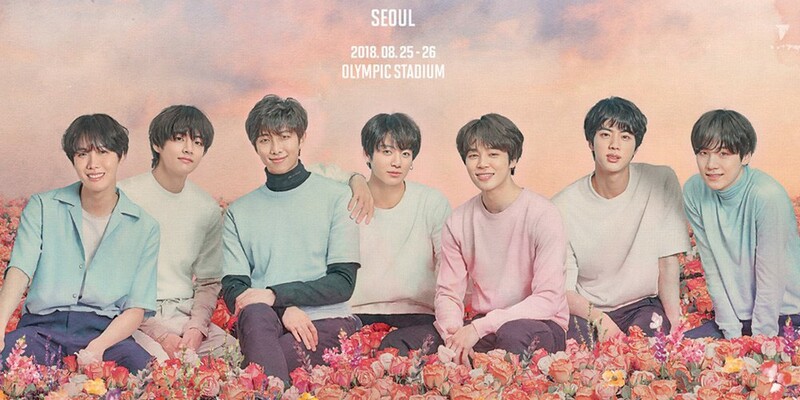 The Seoul stop of the boy group's world tour is set to take place from August 25-26 at the Olympic Stadium. Meanwhile, the 'BTS World Tour - Love Yourself' recently announced several dates and locations for North America and Europe, consisting of a total of 11 cities with 22 shows. Ahead of their world tour, BTS are set for a comeback on May 18 with their 3rd full album 'Love Yourself ? - Tear', as well as their first ever performance at the '2018 Billboard Music Awards' on May 20.